If You Dropped a Brick | Doppsonline.com Dopps Chiropractic: Our family bringing health to your family for over 40 years! Question: If you drop a heavy brick on your foot, what’s the first thing you need to do to start the healing? Answer: Get the brick off your foot! Sounds simple, but it’s true. Your foot CAN’T heal until the offending pressure is removed first. The same principle applies to your Chiropractic care. 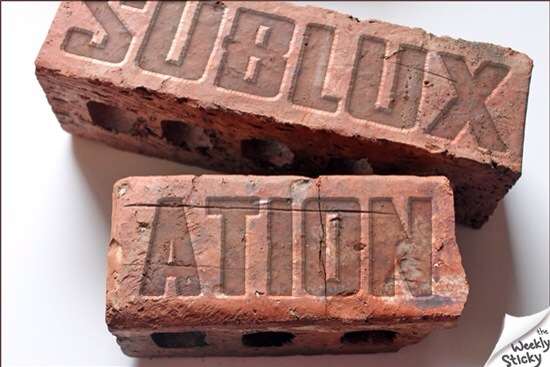 A misaligned vertebrae (Subluxation) acts like a brick on a nerve – creating compression, pain and inflammation. Healing starts only when the offending pressure can be removed and kept off the nerve with sequential adjustments. But don’t expect instant relief. Removing the pressure is simply the first step in a timely process. If you don’t feel great immediately after an adjustment, don’t be discouraged. With a clear Nerve System and time, damaged tissues can heal and you’ll feel like new again. For now, be confident the healing process has at least started because the brick has been removed.